It finally pushed above zero at about noon today. Homeowners across the Chicagoland area have been facing frozen pipes, cars that won’t start, and garage doors that won’t open. The reason? It might be under-heated or under insulated garages. When the temperature drops below zero outside, poorly insulated garages are hit hard by the elements, dropping in temperature to nearly match the outside. Of course, homeowners with garages don’t have it nearly as bad as those with carports, but this begs the question—should you heat your garage? Heating your garage is a tough decision for homeowners, as the costs can stack up when you run a heater for an area that you may not be using. Today, we are going to share with you a handy guide on whether or not to heat your attached or detached garage, allowing you to make the decision for yourself. Why Heat Your Garage in the Winter? If you use your garage for little more than storage and parking, heating your garage may seem inefficient, but there are some problems that can arise. For instance, garage door openers may stop working due to contracting metal, hardened grease, or broken springs—all of which happen more often than not in winter months. Secondly, heating your garage could help your car start more easily in the mornings. If one of the main reasons you have a garage is to protect your vehicle from the elements and cold weather, having a battery freeze up in your garage may not be on your list of 2015 desires. Finally, if you use your garage for any secondary purpose—home office, laundry room, playroom, gym, pet housing, workspace, man cave, or even storage of your fridge/freezer—heating your garage is a must. The primary argument against heating a garage is the utility costs. If you are looking to estimate the costs of heating your garage, use the eHow BTU calculator and then the garage heater cost calculator. If the costs outweigh the benefits, don’t do it. If you heat your garage and care about costs, insulation is a must. If you don’t heat your garage, but still want the benefits that come with a garage, insulation is also important. This is not to mention, that you are probably storing flammable materials like gas, oil, antifreeze, or coolant; running a car in the morning to warm it up, or working in the garage—a bothersome noise all year. Insulation will help you to get the most of your heater, and will also prevent fumes from reaching living space (in an attached garage). The other vital part of insulation, good for both summer and winter, is garage door insulation. 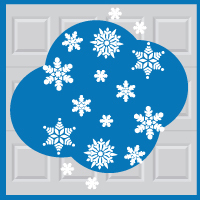 Read our tips on insulating your garage door here. If you choose to heat, there are some options that are better than others in terms of efficiency and effectiveness. There are two types of natural gas heaters to consider for heating your garage: a forced-air garage heater that blows warm air like a conventional furnace, and a “low intensity” infrared tube heater that radiates heat. Family Handyman offers the following comparisons between forced air and infrared heaters, along with installation instructions. Correct location of heater is critical (minimum 7 ft. from floor, 3 ft. from objects). Adequate headroom is also critical, because you can overheat if you’re working near the unit. 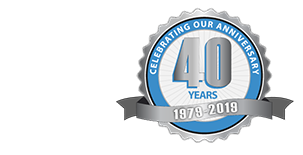 All in all, we at Blue Sky Builders would like to remind you to stay warm this winter, and should you need a new garage now or in the future, to keep us in mind. Contact us to become one of the first we help in the coming construction season.